Now you can find a great selection of plus size tall jeans from some of the leading denim shops on the Internet. 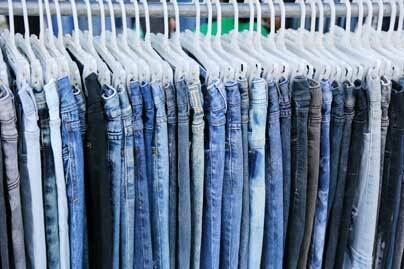 One of the specialty online denim shops has your size and style in womens plus size tall jeans. We've chosen Size 15 for this page, but you can find other sizes in the left hand column. The Buckle has your size in womens plus size tall designer jeans, with waist sizes 32-38 inches and inseams of 34 inches, 35 inches, and 36 inches, from BKE, Rock Revival, Daytrip, and Buckle's own label. Shop at Penney's for plus size tall jeans in sizes 14, 18, and 20 in extra long inseams from Lee, A.N.A., Liz Claiborne, and more. Catherines has a special selection of plus size tall jeans, so you can find just the right pair for you! Jeggings, stretch jeans, curvy jeans, and comfort waist jeans are all here. Sale - BOGO 50% Off Apparel & Accessories, and Sleep and Swim. Sale ends 4/28/19, see website for details. Lane Bryant has a good selection of plus size tall jeans in long inseams.